This webinar has a 94% user satisfaction rate. You can join Daniel Kendrick, Manager and Development Executive at Chatrone (Golden Globe nominated animation feature film The Book of Life, with animated clients for SpongeBob SquarePants, The Lego Movie, Robot Chicken, Teenage Mutant Ninja Turtles) as he deconstructs PIXAR's Oscar-nominated script, Inside Out! As the second highest grossing PIXAR film ever made and Oscar nominee, what makes Inside Out resonate so deeply with audiences across the world? PIXAR, the world’s premiere animation studio, has yet again managed to produce a smash hit that makes everyone laugh and cry all the way from children to grown adults. 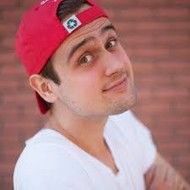 Join your host, Daniel Kendrick as he delves deep to deconstruct the Inside Out script as part of the popular Stage 32 Next Level Education "Deconstructing the Script" series! You will learn the storytelling strategies and techniques PIXAR employs to produce hit after hit award-winning animated features. Daniel will go over the methods by which PIXAR tweaks traditional story structure to compose an enthralling character piece. You will understand the plot points and characterization that makes the fictional inhabitants of a mind in this script so appealing and endearing. You will also understand the visual and poetic appeal of Inside Out and its characters’ journeys. You will walk away with a solid understanding of all the elements that make Inside Out a successful script including: protagonist, plotlines, characters, dialogue & visuals, set ups & pay offs, animation and overall development. To find out more, click the "What You Will Learn" tab above! The development and creative process for creating an animated feature. What makes Inside Out not only a great premise, but a sellable one as well? Once you have the IDEA, how do you hammer it out? How does PIXAR utilize Joseph Campbell's writing to synthesize a compelling hero’s journey? Protagonist - understanding "Joy" as the protagonist and her hero’s journey. Plotlines - understanding the rebirth of our protagonist through great structure with multiple plotlines. Characters - identifying the characters. What makes the characters of Inside Out so identifiable with audiences worldwide? Dialogue & Visuals - How does PIXAR use visual gags and dialogue to enhance the audiences affinity for the characters and to manipulate their emotions? Set Ups and Pay Offs - Identifying them and showing how PIXAR effectively uses set ups and pay offs to give the audience satisfaction. Animation - Key tool to tell the story. How PIXAR utilizes the medium of animation to it’s fullest form in this feature. Animated vs. Live Action - How the animated feature differs from the live action feature. **Daniel presents detailed analysis of the script and references his own personal margin notes throughout his webinar for you to view. Although it is not required, we recommend that you read the Inside Out script prior to taking Daniel's webinar. You can access the script by clicking here. Daniel Stellan Kendrick is a manager and development executive at Chatrone, a production / management company, which specializes in animation. Originally hailing from San Diego, Daniel moved to Los Angeles to attend UCLA where he graduated with a degree in history and film. He worked at International Creative Management before joining Chatrone in 2012. His clients include writers, artists, and creators that have worked on projects such as Robot Chicken, SpongeBob SquarePants, Teenage Mutant Ninja Turtles, The Lego Movie, and Top Cat. Chatrone’s first animated feature, The Book Of Life, was released in 2014 by FOX. It was nominated for five Annie Awards and a Golden Globe. With offices in Rio de Janeiro and Sao Paulo, Chatrone also produces multiple TV series in Latin America. Kristin Johnson Daniel Kendrick truly connected with why Inside Out is likely to win the Oscar for Best Animated Feature. Subtext with Joy and Sadness. Unique introductions to the characters. And proper sadness over the sacrifice of Bing Bong. Learn directly from Daniel Stellan Kendrick, Manager and Development Executive at Chatrone LLC (The Book of Life). From our first exposures to Mickey Mouse to the off-color adult humor of South Park, animation spans the human experience. One of the most unlimited and flexible mediums of entertainment, it often remains an outlier in the film industry. Aspiring writers are constantly inundated with information and resources about writing the perfect feature screenplay, but rarely do they have the opportunity to glimpse inside the animation industry. This practical and informative webinar will illuminate the trade secrets and industry culture of cartoons. Over the years, Daniel Stellan Kendrick has heard countless pitches from aspiring animation writers. After a while, he realized that the tools required to succeed at writing this unique and unfamiliar specialty are not easy to find. In this Stage 32 Next Level Webinar, Daniel will walk you through the lay of the land of the animation industry. 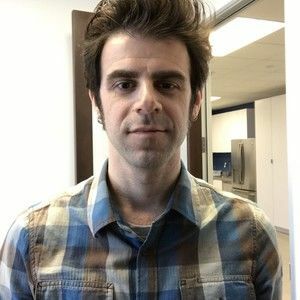 From concept creation, to the big players, to the final pitch, Daniel will help you master this boundlessly imaginative field we call “animation.” Daniel Stellan Kendrick is a manager and development executive at Chatrone LLC, a production / management company, which specializes in animation. His clients include writers, artists, and creators that have worked on projects such as Robot Chicken, Spongebob Squarepants, Teenage Mutant Ninja Turtles, and The Lego Movie. Chatrone’s first animated feature, The Book Of Life, was nominated for five Annie Awards and a Golden Globe. Learn directly from Maren Olson, Producer of Short Term 12, who has represented domestic and/or worldwide distribution rights to over 70 finished films, including Academy Award winner The Secret in Their Eyes and festival favorites such as An Oversimplification of Her Beauty, Natural Selection and Red Flag, and Sundance Audience Award winners This is Martin Bonner, Valley of Saints and Kinyarwanda! "Excellent - informative. Maren brought facts and experience to a very nuanced subject about "Film Festival Darlings - offering an extremely in-depth analysis to the elements of what a writer or producer should consider when moving forward in the Indie film world. My fav Stage 32 webinar so far. Thanks." - Robert G. "Fantastic seminar. Like a good filmmaker, you kept us engaged from opening to close. Thanks again!" - Bob B. "Maren had a lot of practical information and road trap warning for indies. I appreciated the components of a festival face, comps, and specific advice that is useful." 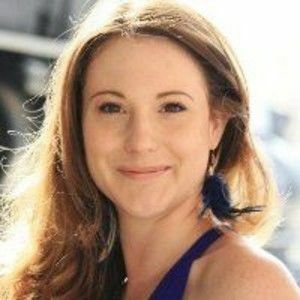 - Betty S. In this Stage 32 Next Level Webinar you will learn what kind of independent film project goes on to become a “Festival Darling” and what you can do to better position your independent film for festival success, from script to screen. Host Maren Olson will deconstruct both the writing stage- from the major components of a festival-friendly story idea, to what to consider regarding location and characters, all the way to how to incorporate thinking about the budget when writing your script- as well as the production stage – from how to make sure your film gets properly considered by the right people, to which festivals you should submit to and when, all the way to the common ways festival friendly scripts turn into a film that no festival wants to play. 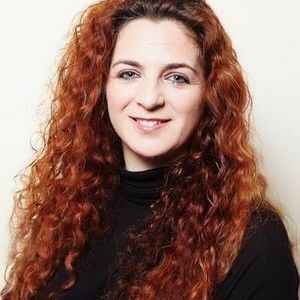 Maren brings over a decade of experience attending and winning film festivals worldwide to change your perspective on what it really takes to create that festival-friendly script, and ultimately a successful independent film. 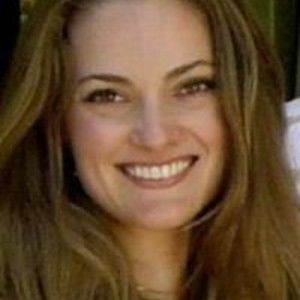 Maren Olson works in the film finance division of CAA, and was formerly the President of Traction Media, where she was responsible for the creative development, packaging, production, financing and sale of independent films. Olson has represented domestic and/or worldwide distribution rights to over 70 finished films, including Academy Award winner The Secret in Their Eyes, festival favorites such as An Oversimplification of Her Beauty, Natural Selection and Red Flag, and Sundance Audience Award winners This is Martin Bonner, Valley of Saints and Kinyarwanda. As a producer, she was responsible for critically lauded Short Term 12, which premiered at the 2013 SXSW Film Festival, where it won both the Grand Jury and Audience Awards. The film went on to win 34 other awards including the Gotham Award for Best Actress and Independent Spirit Award for Best Editing. Her 2015 production, Ava’s Possessions, premiered at the 2015 SXSW Film Festival. Part 1 - Overview of the Staffing Process Amanda discusses the strategy and steps of the staffing process from the studio, network and production company perspective. You will gain incite into what producers are looking for from a staffing sample and how to improve your chances of standing out in crowd. 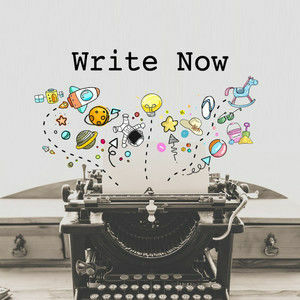 Part 2 - Tips for Writing an Original Pilot A discussion on the creation of a strong, unique and memorable original pilot; Choosing the right concept to display your original voice, crafting characters who can last for seasons and improving dialogue skills. Part 3 - Pilot Format, Structure and Plotting Amanda details structure and formatting techniques, for drama and comedy, as well as the importance of a strong, steady plot and why you need to keep the reader engaged with big plot moments every few pages in a staffing sample. Part 4 - Spec Scripts & Next Career Steps Amanda answers why it’s important to have a spec script to send as a follow up to your original pilot, and how to write a spec script through copying an existing show’s voices and format. 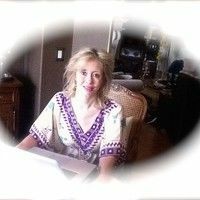 She also covers reaching out to agents, managers, and studio training initiatives with your writing samples. Purchasing gives you access to the previously-recorded live class.Although Amanda is no longer handing out or reviewing the assignments, we still encourage all listeners to participate! A Testament to Character - "To My Unfaithful Wife..."
They say not to speak ill of the dead. What about when the dead speak ill of you? We challenged you to deftly write a 3 page scene conveying the nuances of character reactions to getting called out for being exactly who they are, but wish they weren't.